Sometimes restaurants are popular simply because they’re new, or have some ‘gimmick’ that draws people in. 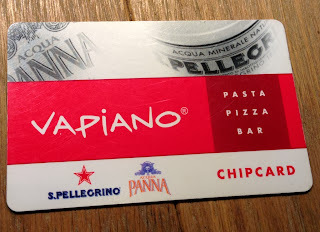 The new location for the Vapiano brand (from the USA) fits both criteria for popularity, but is uncharacteristically backed up by some good quality food. First up, the gimmicks. 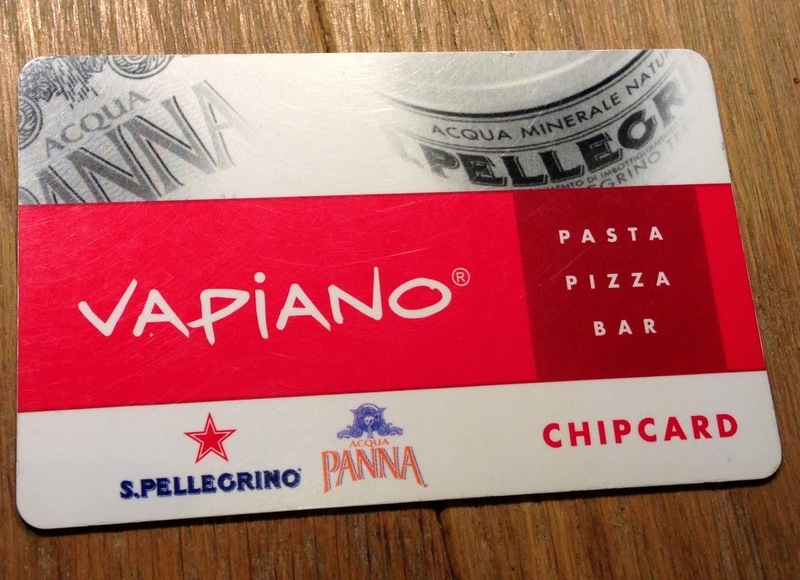 When you enter Vapiano, you don’t pick up a table number or wait to get seated, you pick up an order card. The idea is that your food and drink orders are placed on the card and you can settle the balance at the end. Pretty neat, and it certainly makes split bills a breeze. The food definitely has Italian influences, but the menu is clearly split into pizzas, pastas and salads. So clearly split in fact, that there are separate ordering stations for each. You pick what type of dish you want, you order and the chef makes it for you on the spot. Then you get to watch the fun of rapid-fire cooking which is more entertaining than sitting down and waiting for your meal in my opinion. Both times I managed to pop-in outside of rush hour, which meant very little time passed between mentally deciding what I wanted to eat to the food in my mouth. That’s always a plus in my books, but I can see how the system may be frustrating during busy periods. Still, even if there is a wait, the food is worth waiting for. It’s a fluid, customisable menu so everyone can pick a dish that suits their taste, and gluten-free options are available as well. The first time I went, both M and I ordered pasta dishes. 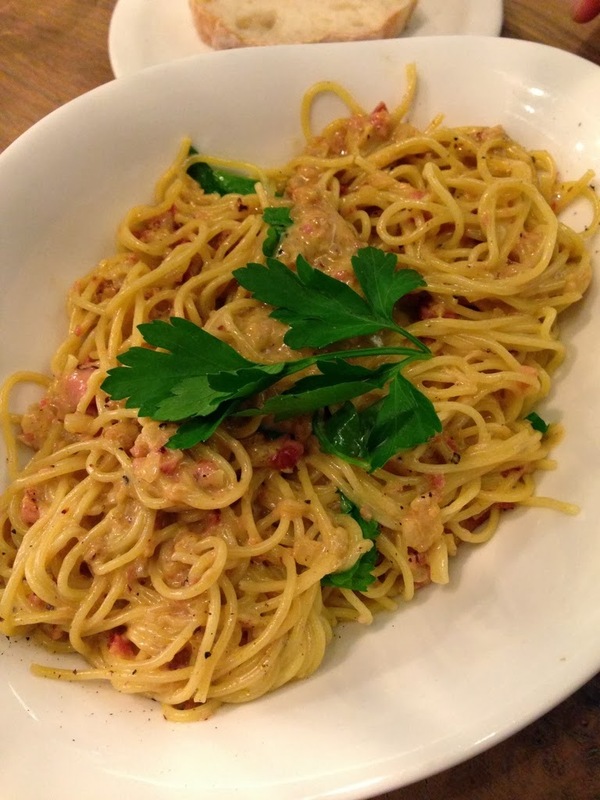 For him, spaghetti bolognaise, simple and packed with flavour using very fresh ingredients. 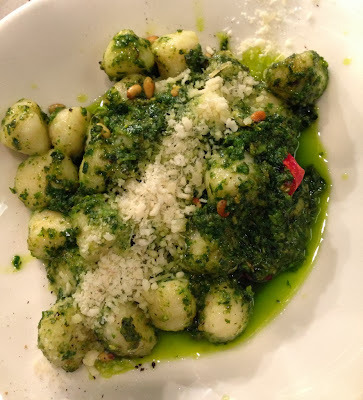 For me, gnocchi with pesto, also simple and delightfully tender, although was perhaps a bit on the oily side. The second time I was there for an early dinner service. I’d actually planned on a dinner straight afterwards, so settled for an antipasti plate to share. Filled with cold cuts of meat and various cheeses, olives and marinated vegetables and paired with soft bread, it was my type of appetiser. The other dishes I didn't get to try, but they looked and smelt pretty good (except the salad, which I thought looked a tad boring). Crappy lighting and hungry friends also results in crappy photos, so apologies. It would have been a shame to let the dessert selection go untasted especially when they looked so attractive. Classic desserts that are hard to go wrong with are always a winner. 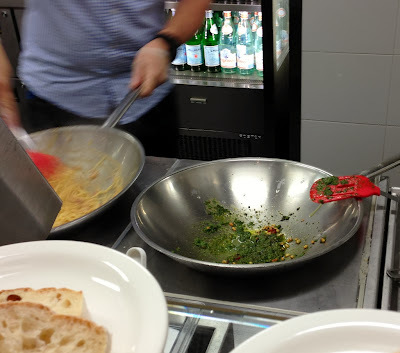 Even with its slightly gimmicky set-up, there’s nothing gimmicky about the food dished up at Vapiano. It’s fresh and uncomplicated, and what you see is what you get (almost literally as you can watch them cook it for you). The atmosphere is cosy and the service is fast. Table service is non-existent, but that’s mainly a function of style rather than a drawback as it certainly makes sense for it to be a help-yourself kind of place. Vapiano is already a favourite with the CBD lunch crowd and it’s really not hard to see why. Maybe we’ll see more new restaurants adopting this format in the future – it has potential.